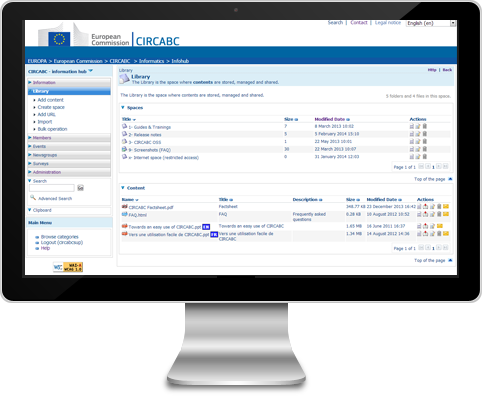 Support is available via the IT helpdesk at EC-HELPDESK-IT@ec.europa.eu (please send an e-mail to report an incident for DIGIT CIRCABC SUPPORT). Support available via EC-CENTRAL-HELPDESK@ec.europa.eu (please send an e-mail to report an incident for DIGIT CIRCABC SUPPORT). Communication and Information Resource Centre for Administrations, Businesses and Citizens. Are you a member of an extensive collaborative group ? Do you need to share information and resources ? Are you looking for a secure working area ?